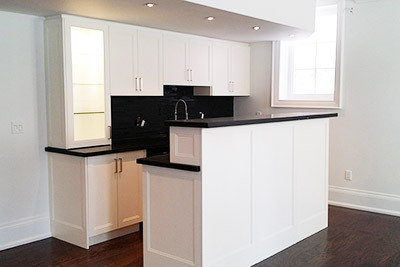 Do you want to achieve flawlessly attractive, functional kitchen design and custom cabinetry in your Toronto or Woodbridge property? 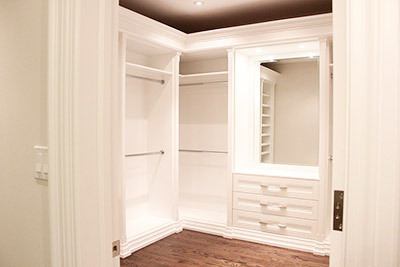 You need professionals who specialize in these spaces. At Mana Kitchen, we keep a focus on what you exactly want and at the same time, we also suggest perfect design ideas that can improve the potential value of your home. Whether it is our intuitive juxtaposition to select contrasting themes or objects that are attractive, exciting, peaceful yet modest and familiar, we ensure that our designs are unique, versatile and urban. Our style ideas open up a plethora of creative concepts that beautifully integrates the kitchen functions with the architecture. 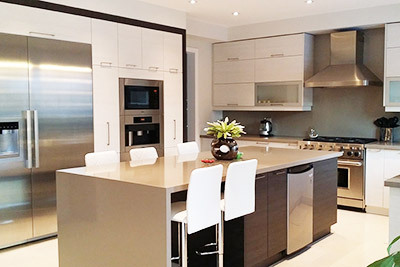 Mana Kitchen is proudly serving the Toronto, Woodbridge and the nearby areas since the last twelve years with the innovative and trained team of interior designers. Moreover, our installers and administrative teams share advice and compare ideas regarding every single project. 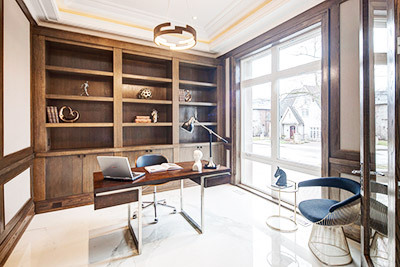 We believe that the best teacher is experience and our team uses this to deliver the best kitchen design and custom cabinetry. We follow a systematic approach for each project that we undertake. We break our work process into three segments, which are planning, design and development. Our expert professionals discuss the requirement, needs, budgets and everything in detail with the clients to get a clear picture of the project. Based on that, the planning is done and shown to the clients for the approval. If any changes are suggested, it is implemented. Finally, when both parties agree on the design, the development aspect begins to give life to the planning and this is how we create stunning results. No matter what the square footage or lot size is, our team creates the home of your dream. Contact us today to discuss the best ways to improve the look and feel of your home with state-of-the-art kitchen design, custom cabinetry and other decorative elements.